The CT Strategies team understands the interconnected security and economic needs of the public and private sector as passengers, cargo, and conveyances move throughout the world and helps its clients succeed based on the experience of its leadership who led recent changes in data-driven trade management and enforcement in the U.S.
Allen Gina is a Co-Founder of CT Strategies, a Customs and Border Management consulting firm which provides strategic services to clients seeking current and innovative insight into border management and supply chain challenges in the U.S. and around the world. 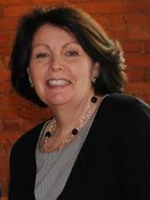 Prior to establishing CT Strategies, Al Gina served as Assistant Commissioner for International Trade at U.S. Customs and Border Protection (CBP). As Assistant Commissioner, Mr. Gina oversaw a workforce of over 1,000 employees and a budget of over $300 million, and was responsible for leading the most extensive trade transformation initiative in CBP’s history. 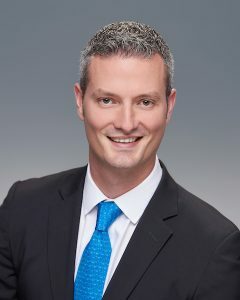 Andrew Farrelly is a co-founder of CT Strategies, which provides strategic services to clients seeking current and innovative insight into border management and supply chain challenges in the U.S. and around the world. While in government, Andrew devoted himself to the strengthening of United States security interests through an accomplished career with U.S. Customs and Border Protection (CBP). 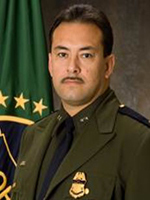 During his time with CBP, he significantly developed the operational standards and efficiency as a former Director of Targeting Programs for CBP’s National Targeting Center, as well as in his most recent role as the Chief of Staff for the Deputy Commissioner of U.S. Customs and Border Protection. 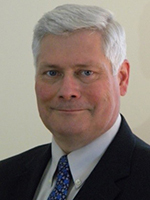 David Austin is a Customs Operations, Information Technology, and Training expert with 33 years of government experience and 14 years as a consultant/trainer in the private sector. 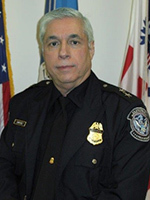 For 23 years he served at Customs/CBP Headquarters as an IT manager involved in system design, development, documentation, testing, training and implementation. During this time, he helped modernize and enhance the automation behind numerous CBP operations and trade processing systems. 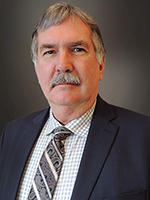 Jeffrey O. Baldwin is a customs and port operations expert with over 39 years of federal service with U.S. Customs and Border Protection (CBP) and its predecessor agencies. Throughout his career, he has been entrusted with the complete management of law enforcement operations, policy, and infrastructure at critical multimodal port locations across the United States as well as at the national level. 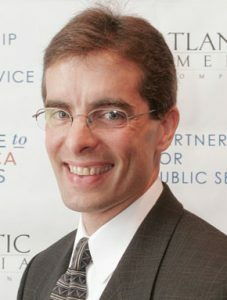 Charles Bartoldus is an operations and policy executive with over thirty four years of law enforcement, national security, and border protection experience developing, implementing, and directing tactical and strategic programs within the White House National Security Staff (NSS), Department of Homeland Security (DHS) and Customs and Border Protection (CBP). 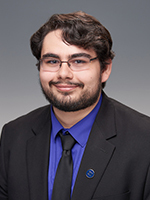 Justin P. Bernardo supports the information technology client portfolio within the business advisory services practice through research, analysis, and overall engagement management. He additionally supports communications strategy and execution with a focus on digital media and outreach involving critical issues at the intersection of border management and emerging technologies. 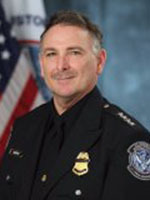 Dr. Gerald I. Dewey has an accomplished background in targeting and analysis after an extensive career with Department of Homeland Security (DHS) and U.S. Customs and Border Protection (CBP). He is a recognized expert in passenger and cargo screening programs and technology-driven national security initiatives. Additionally, Dr. Dewey is a certified Project Management Professional (PMP®) through the Project Management Institute. Laura Escalante is a foreign trade policy and trade facilitation expert with over thirteen years of international negotiation, border management and law optimization experience, within Central America and its commercial partners around the world. During her public career, she participated and led negotiations with trade and customs authorities of the United States, the European Union, China, Singapore, Switzerland, Norway, Peru and Colombia. 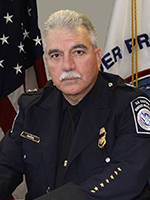 Eugenio Garza Jr. is a former U.S. Customs and Border Protection (CBP) official with over 42 years of federal service. Most recently, he served as Director of Field Operations at the Laredo (Texas) Field Office for CBP. While serving as Director of Field Operations, Mr. Garza provided oversight and guidance to the operation of eight ports of entry across Texas. He also created partnerships with the private sector and other federal, state and local law enforcement agencies to include the Government of Mexico. 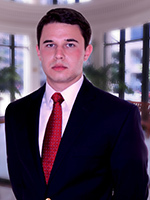 Zach Hartnett is responsible for developing and executing company business strategy, providing strategic advice to company leadership, and designing and implementing business plans to maximize team performance to achieve company goals. Mr. Hartnett also serves as portfolio manager for non-intrusive inspection projects as well as an advisor on federal acquisition, budget, and engagement strategy across the customer portfolio. 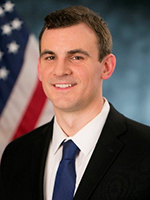 Brett Laduzinsky spent his career in government service enhancing the security of the supply chain by means that simultaneously support economic prosperity. During his time as a Counselor to the Commissioner of U.S. Customs and Border Protection (CBP), he was responsible for advancing many of CBP’s trade transformation and modernization initiatives. His areas of expertise included export programs, single-window trade processing, trusted trader programs/public-private partnerships, and the advancement of CBP’s Centers of Excellence and Expertise. 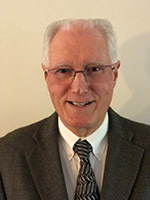 Ronald May is a supply chain security and customs operations expert with over 31 years of experience serving U.S. Customs and Border Protection (CBP) and the legacy U.S. Customs Service. Most recently he served at the U.S. Embassy in Ottawa as the U.S. CBP Attaché to Canada. As CBP’s senior representative to Canada, Mr. May was responsible for coordinating all U.S./Canada border management policies and strategies with the U.S. Ambassador and Canadian Government entities. Dave Murphy served CBP for 30 years and held a number of critical leadership positions, including as Director, Field Operations, Chicago Field Office. In this capacity, he was responsible for all Office of Field Operations activities in a 12 state Midwest region. He supervised a workforce of approximately 1,100 employees, 40 offices, 23 Port Director and 4 Area Port Directors and his managerial oversight included all international arrivals in airport and seaport environments, including airports at Chicago O’Hare, Minneapolis-St. Paul, Cleveland, Cincinnati and St. Louis, as well as three largest express consignment operations in the United States (DHL, UPS and FedEx). Salvador Nieto is a retired Chief Patrol Agent. He most recently served as the Department of Homeland Security’s (DHS) Director of the Border Enforcement Coordination Cell at the El Paso Intelligence Center (EPIC). In this capacity, he directed a multi-jurisdictional information coordination cell which served as the primary location for DHS-focused southwest border interdiction, investigative, and intelligence coordination. Kelley Sanabria is an experienced Customs official with expertise in international trade policy. She has held a variety of positions in the federal government and private sectors related to trade policy, public relations, leadership development, and international affairs. 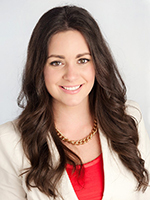 She currently serves as CT Strategies’ Chief Communications Advisor. In this role she is responsible for leading coordination of the company’s media affairs, special event engagement, and other public outreach activities. Noel Sanchez is a retired U.S. Customs and Border Protection (CBP) official. Most recently, he was appointed as the Assistant Director for Border Security at the Laredo, Texas Field Office in December 2010. As Assistant Director for Border Security, he was responsible for all activities related to the admissibility of people, addressing and preventing threats of terrorism, and the deterrence of smuggling of contraband and narcotics through the eight ports of entry in the Laredo Field Office.